Lexus LS Performance, Engine, Ride, Handling | What Car? 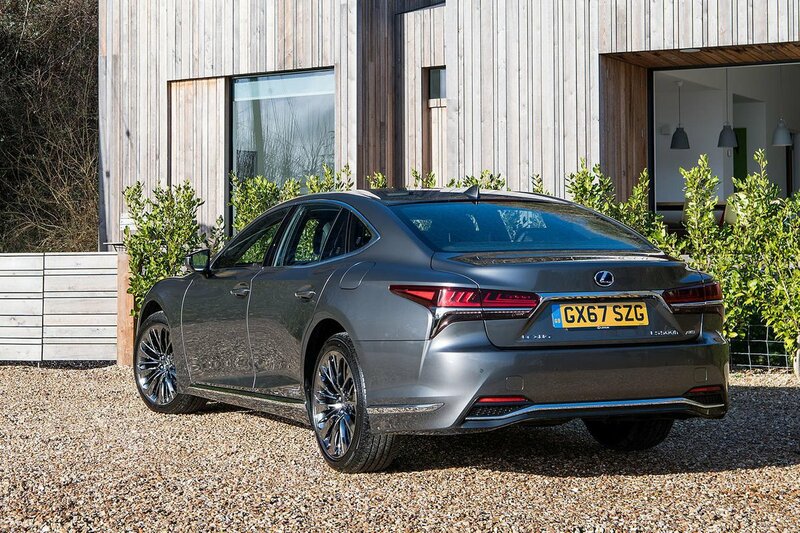 One of the major criticisms of Lexus hybrids has always been the elastic nature of the gearbox. Put your foot down and you’d find engine revs soaring, even if the car wasn’t gaining speed particularly quickly. 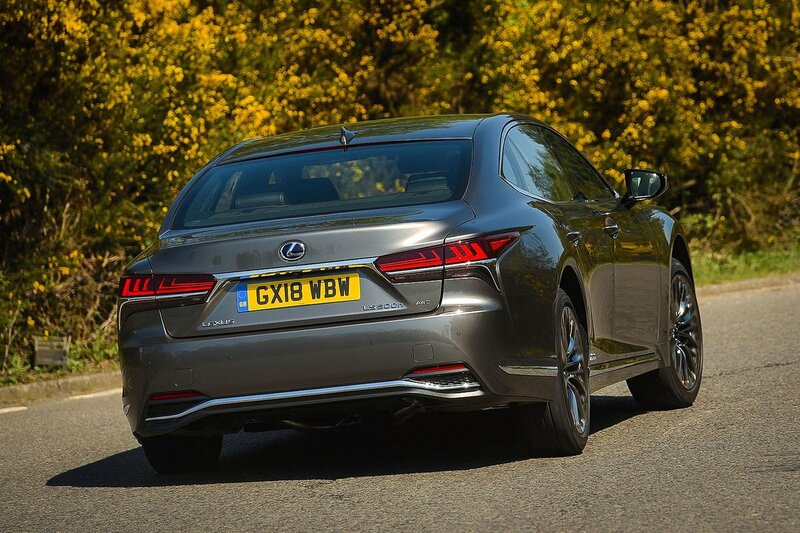 To help combat this, the LS has an additional four-speed gearbox to help provide noticeable steps in acceleration like a regular 'box. To an extent, it works, with engine speed dropping during bouts of intense acceleration as it changes gear. There is, however, still an initial spike of revs that reveals a surprisingly coarse engine note, given that it’s a six-cylinder petrol motor. We also found a noticeable delay between pressing the accelerator and the LS actually picking a gear to start gaining speed. All this means it can be tricky to pull away briskly yet smoothly. 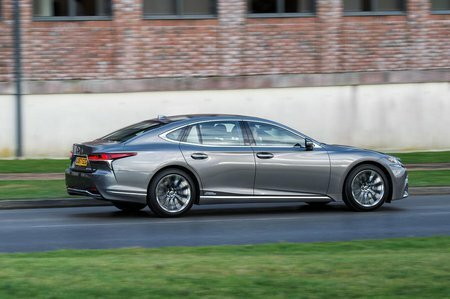 Once it has stopped dithering, the LS certainly isn’t slow, even if it doesn't feel quite so effortless as high-powered diesel versions of the Audi A8, BMW 7 Series and especially the Porsche Panamera – all of which are significantly lighter than the LS. The LS can’t match those rivals for ride and handling, either. On smooth roads, you can always feel the car fidgeting just slightly, with a noticeable amount of vertical movement as you waft along, while rougher surfaces jostle you around even more, whether you’re in the front or the back of the car. That might be acceptable if the LS cornered really well, but we found our test car’s air suspension allowed plenty of body lean even in the sportier suspension modes. At least the steering is pleasingly precise and grip levels are high, especially if you pick an all-wheel-drive variant. If you are looking for a racier drive, Lexus does offer an F Sport version that has rear-wheel steering, a few chassis tweaks and bigger brakes. We’ll have to slip behind the wheel first before we can pass judgment, though. Lexus also boasts Level 2 autonomy technology on Premier versions of the LS. Radar cruise control and active steering do a good job of keeping the car in lane with little to no intervention. Our only complaint is that it has difficulty registering some faded white lines.